As an initiative of people from the local community Wellgate Community Farm came to life in 1982 on a 1.5 acre wasteland granted by the London Borough of Barking and Dagenham in the form of a management agreement. The purpose of Wellgate Community Farm is to provide a focus for community activity as a growing place for individuals and groups. Volunteers are welcome and will be trained to help and develop the farm's activities. 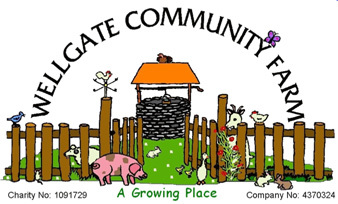 Wellgate Community Farm offers free entry to visitors.